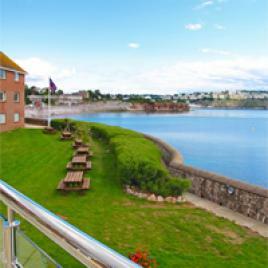 3 Star BEST WESTERN Torquay Hotel & Restaurant on Torquay Sea Front. Newly built Riviera Suite. 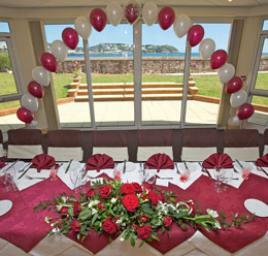 Purpose built, Air Conditioned Function Room suitable for Weddings up to 200 people. 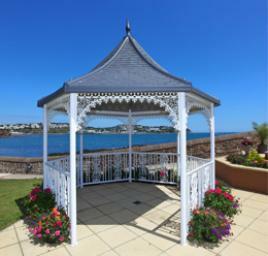 Stunning views, Dance Floor, Private Bar, Private Facilities including Disabled Toilet. 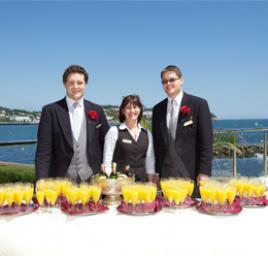 AA 74% Quality Rating, Visit Britain 3 Star Hotel Classification. All Rooms are Non-Smoking with Tea/Coffee making facilities, televisions, hairdryers, direct dial telephones and internet connection points. All guests are welcome to use the facilities provided by our Sister Hotels The Corbyn Head and Livermead House Hotel which are only a short distance away.